- Preview to easily choose the right preset or custom mask. - Apply the preview as a selection or mask. - Refine by location/color, clean up rough edges, and paint on the mask non-destructively for perfect results. - Select and mask anything, visually! With Lumenzia, you get a full screen preview of the mask before you apply it. Interactively click on the image to select (or deselect) the tones/colors to the degree you wish. No guesswork with adding and subtracting channels. Isolate the mask to to specific parts of the image with a simple selection. And you can combine group masks to easily see the overall mask impact. It's never been faster and easier to create or customize the right mask. And the masks are created in 16-bits, allowing for smooth transitions in extreme masks. - Click to pick! You don't have to know which mask to use, just use the built-in zone and range tools to create the right mask automatically. - Simplify exposure blending. Automatically stack, align, and sort your exposures light to dark for blending. - Smaller files. Lumenzia doesn't use channels, so your files stay small. A typical TIF file from a Nikon D800 grows from 200MB to 1.4GB when creating channel masks, but would remain the same 200MB size in Lumenzia. And Lumenzia can combine group masks to significantly cut down on file size, often reducing file size a further 20-50%! - Beautiful vignettes with ease. Just draw a selection around the target area to create a vignette of any size, sharp, or position in the image. The vignette can be easily modified, inverted (to lighten the center) or combined with luminosity masks (to avoid darkening shadows too much). - Free bonus #1: The Lumenzia Basics panel. 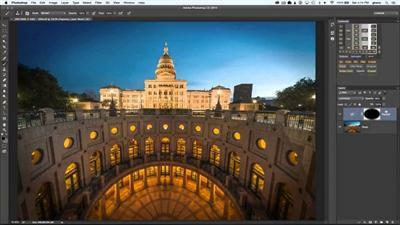 Get quick access to commonly-used luminosity masking tools. Perfect for users who are new to luminosity masking, or those who don't wish to memorize a bunch of Photoshop shortcuts. - Free bonus #2: Quick Start guide video to help you start enhancing your images immediately. - Lumenzia is compatible with Photoshop CS6 - CC 2017 on both ShiChuang and OSX. - Lumenzia does not support CS5 or earlier.